We would like to welcome you to Cat Nap Inn Hermann located in Hermann Missouri. 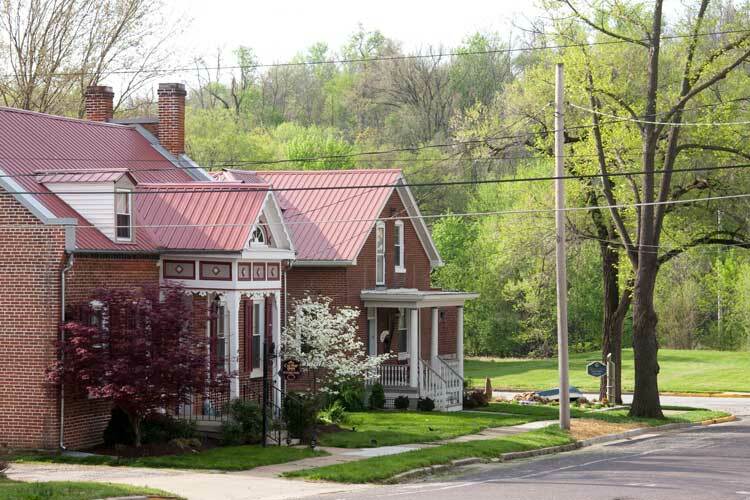 Forbes voted Hermann as one of America’s prettiest cities. Enjoy the privacy of the entire place, take a “cat nap” and sleep soundly in this 3 bedroom, 2 bath, 2-story 1891 Victorian brick home. 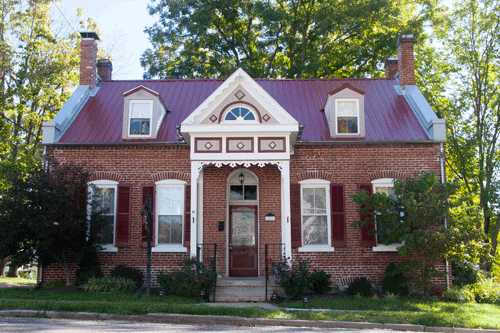 Cat Nap Inn Hermann has a fully equipped kitchen and comes with a continental breakfast, includes homemade bakery goods and in season fresh fruits. If you have special dietary needs, please let us know. You will also have a stereo, cable TV and high speed internet access. Listen the the music of the outdoor amphitheater from your 6 person hot tub on the deck of this Hermann MO Lodging location. 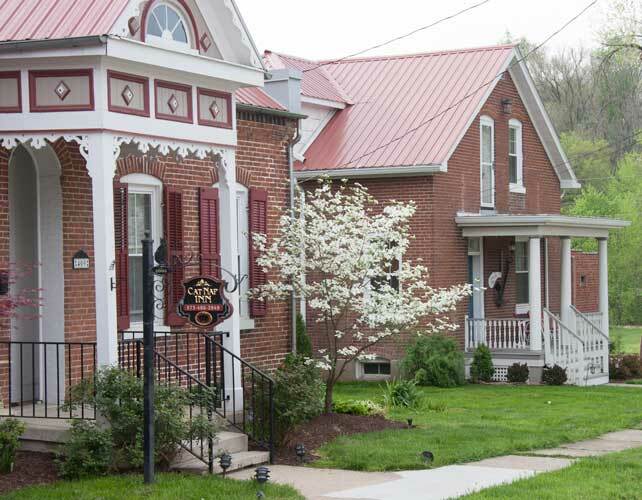 Cat Nap Inn Hermann puts you within walking distance of shops, wineries and Amtrak. Hermann Mo Lodging offers side by side rentals. Anchors Away Hermann is right next door to the Cat Nap Inn Hermann.